"I am proud to continue to have the same clients I began with over 32 years ago, along with many more. I am also honored to now represent several children of my original clients on their real estate and corporate matters. This gives me the greatest pleasure and satisfaction of all." Edward A. Bloom is a Real Estate Law and Business Transactions attorney and Practice Group Director. With over 34 years of experience, his practice is primarily concentrated on real estate development, real estate leasing, real estate workouts and foreclosure, real estate litigation, real estate and corporate lending, mergers and acquisitions, business advice, succession planning, company formation, corporate and transactional matters. He counsels developers, owners and users on acquisitions, dispositions, leasing, financing and development projects. He has extensive experience on all types of lease matters, regularly representing tenants in the negotiation of leases from 5,000 to 100,000 square feet in size. In addition, Mr. Bloom represents numerous non-profit entities and commercial contractors on their corporate matters, real estate development and leasing requirements. Mr. Bloom has drafted and negotiated many work agreements for tenant build-out in connection with leasing matters. He has represented lenders, borrowers and asset portfolio purchasers on loan workouts, restructurings and foreclosures. Mr. Bloom represents several of the largest commercial subcontractors in the Washington, D.C. metropolitan area on corporate, real estate, financing and succession planning matters. He has formed numerous corporate and non-profit entities, regularly representing corporate clients on acquisitions, expansions and mergers. Mr. Bloom also assists corporate clients and their principals on corporate structure, software licensing and succession. Prior to entering private practice from 1984-1988, Mr. Bloom served four years as in-house counsel to a real estate development company in the Washington, D.C. area. 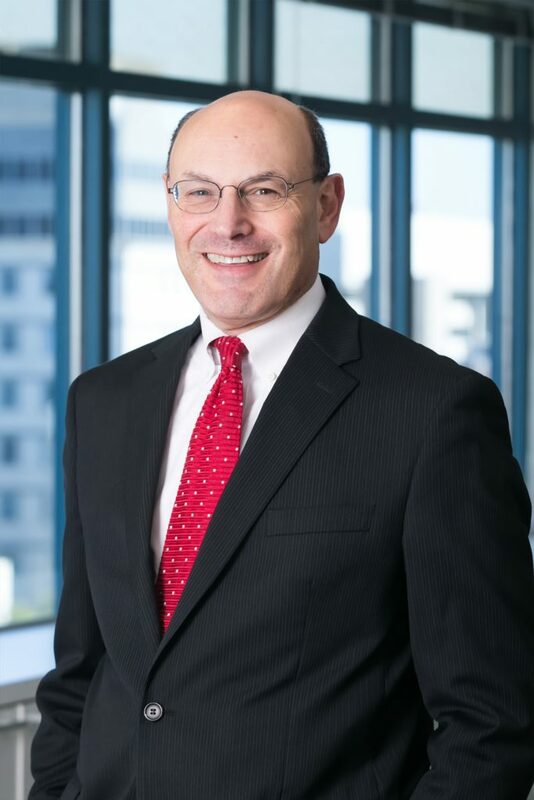 The 2010-2019 Best Lawyers in America ranked Mr. Bloom as a top lawyer practicing in Real Estate Law. In 2019 selected as AV Preeminent® Top Rated Lawyers. The AV Preeminent® rating is Martindale-Hubbell’s® highest possible designation, and a unique marker of excellence among members of the legal profession. Attorneys who achieve this rating are recognized by their peers for their abilities in and out of court, as well as for demonstrating high standards of ethical behavior. "Offit Kurman Attorney, Ed Bloom, Negotiates New M.C. Dean Lease in The Boro." "Ed Talks: Purchase Agreement for the Acquisition of Commercial Real Estate"
"Ed Talks: 10 tips on Leasing Agreements"